Bridging the gap between the fundamental concepts of fluid mechanics, heat transfer and thermodynamics, and the practical design of thermo-fluids components and systems, this textbook focuses on the design of internal fluid flow systems, coiled heat exchangers and performance analysis of power plant systems. The topics are arranged so that each builds upon the previous chapter to convey to the reader that topics are not stand-alone items during the design process, and that they all must come together to produce a successful design. 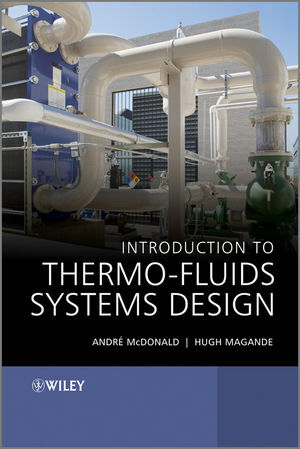 Because the complete design or modification of modern equipment and systems requires knowledge of current industry practices, the authors highlight the use of manufacturer’s catalogs to select equipment, and practical examples are included throughout to give readers an exhaustive illustration of the fundamental aspects of the design process.